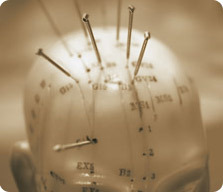 Western Acupuncture is the kind that has risen in the West in the last few centuries. Whereas traditional acupuncture is based on ideas derived from ancient Chinese philosophy and talks in terms of yin and yang, modern acupuncture talks in terms of stimulating the nervous system through the use of fine needles into trigger points. Stimulating the nervous system in this way can reduce pain and therefore increase mobility.